Small Business Saturday is a day dedicated to supporting small businesses across the country. When you shop at small businesses in your neighborhood, you help support all the things that make community great. Founded by American Express in 2010, this day is celebrated every year on the Saturday after Thanksgiving. This year, Small Business Saturday is on November 30th. As a show of our appreciation, stop in our store between December 11-16 and register to win an Art Metals Studio Gift Certificate. Also, take home some wine or handmade chocolates as our gift to you with any purchase. The Downtown Holiday Open House is November 12th from 10am-7pm. Following the Racine Holiday Parade and tree lighting at Monument Square, we will be having an Open House and Gemstone Event at Art Metals Studio from 5-7pm. 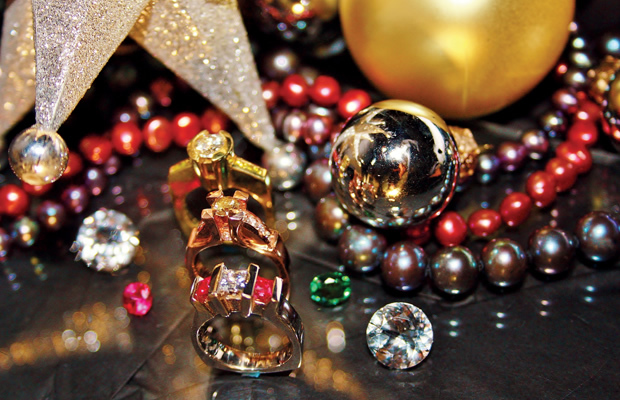 Specials on our exceptional loose gemstone collection just in time for those holiday orders. During First Fridays tonight, bring in an item to donate for HALO and be entered for a chance to win an Art Metals Studio Sterling Garnet Pendant! HALO is Racine's Homeless Assistance Leardership Organization, Inc. (http://www.haloinc.org/). For complete event info, email firstfridaysracine@yahoo.com.